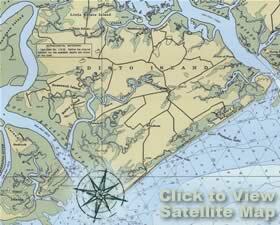 This property is listed by Kapp-Lyons Realty on Edisto Island. The serenity and beauty of Edisto Island resonates from this lovely vacation home, where everything is ready and in place for you to enjoy for seasons to come. Located in the desirable Point Street area, only 200 feet from the ocean. With an in-ground pool (a rarity on Edisto Beach) complete with corner fountains. 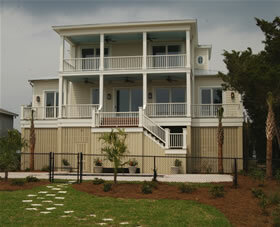 Extensive outdoor living spaces are carefully designed to take full advantage of the ocean breezes and Edisto vistas. Raised beachside sunning decks, covered veranda, gourmet kitchen with granite countertops. Fully furnished and decorated, down to the accessories. 2,775 square feet HVAC… and approximately 1,500 square feet of decks and porches. Hardiplank siding, 5 V-crimp Galvalume metal roof. Anderson windows and doors. Open floor plan, ideal for entertaining. Gas log fireplace with remote control in the great room. Beamed ceilings with beadboard that give a nautical feel. Two porches facing the ocean. Dual master suites, both beachside. Heart pine floors in all living areas. Tile in all full baths. Professionally decorated to reflect the textures, details and ambiance of Edisto. Soft coastal colors. Special touches ready for you to discover all around the house (like a framed nautical map of Edisto, to help you find your way around the local waters). Premium appliances. Reverse osmosis system on sink, wet bar & both ice makers. Smart House Network System with wireless internet and stereo throughout. 4 TVs with VCR/DVD. All linens and towels, kitchen supplies and utensils. Extensive covered garage area with outside shower & dressing area, dog pen. Three-stop elevator with telephone and security features. Professionally landscaped yard with sprinkler system, on a timer. Patio & pool furniture. Bikes, barbecue grill... it’s all ready and waiting for you and your family to enjoy.